We have several different sources from which we get our music. There’s Internet radio, the actual radio, music downloaded on our phones, and computers. When you’re at home, you have access to all of these options, but the manner in which you listen to them is normally stuck to specific devices. We want our world to be as connected as possible, so it would make sense that we would want a speaker system that will let us access whichever option we want, whenever we want. 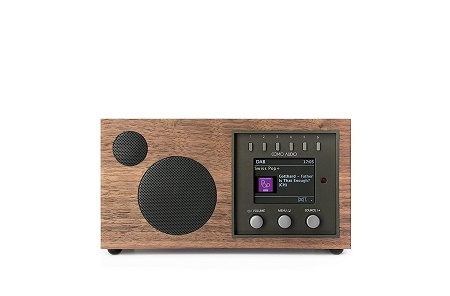 The Como Audio Solo Speaker could be classified as a radio, but it is far more than that. This is a smart speaker that has a wooden case that’s nearly a half-inch thick with a 3/4” soft dome tweeter and a custom 3” long-throw, 4-layer voice coil woofer with an oversize magnet. There is also a 2.8” TFT color display so you can always see the album art, artist, and song information regardless of what channel you’re listening through. There are two versions of this speaker, with this $299 version being the smaller of the two. The Duetto does the same, but more of it, and has a $399 price tag. This is available in piano black, white, hickory/black, or walnut/black, and yes, the color does affect the price. If you’re feeling saucy, you can buy multiples and sync them so that you can have the same music playing all over your house during parties.